Published on December 22, 2013 in Student Jokes and Study Fun And Humour. 0 Comments Tags: Pranks, School Pranks, Stunt. 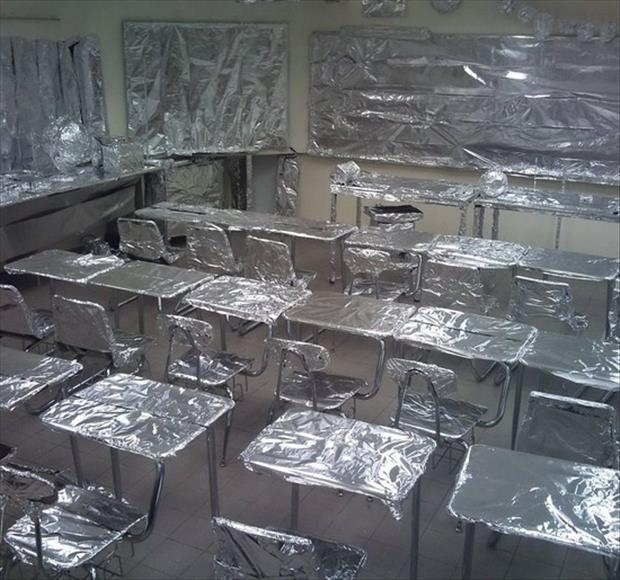 I am NOT advocating you pull off a prank like this, but I have to admit, this took a lot of dedication and time and is worth sharing – it’s harmless and funny. IF you do pull off a prank like this, share it with me, but PLEASE – consider the environment and safety. There is NO fun in regretting something after-the-fact.